Today we headed to Petpenoun, our final destination before we go back to Douala. Just like yesterday we have 2 different stages again. 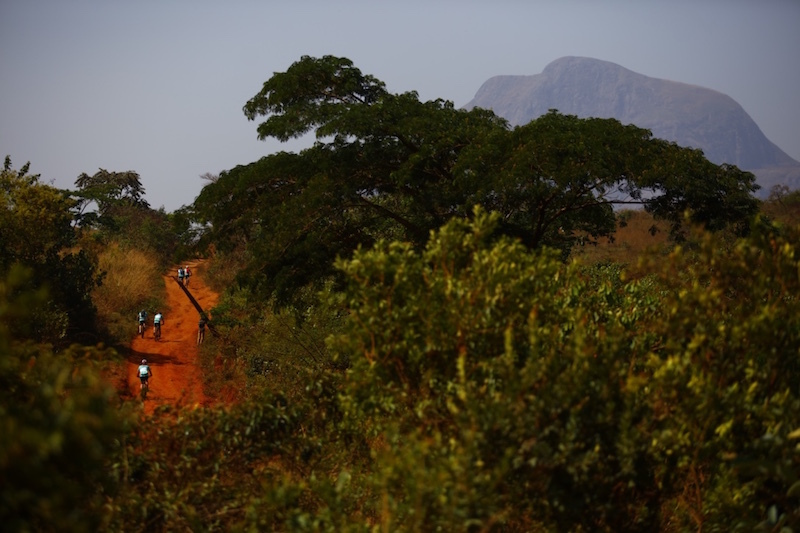 A tough one of 88km and a smaller, but still challenging one of 51km. Due to both the heat and the steep hills, the majority of the group decided to go for the smaller one today. They didn’t regret it at all, because it was super hot again! Just like yesterday we passed through a lot of little towns, with the most colourful markets, and many colleagues stopped to mingle with the locals. 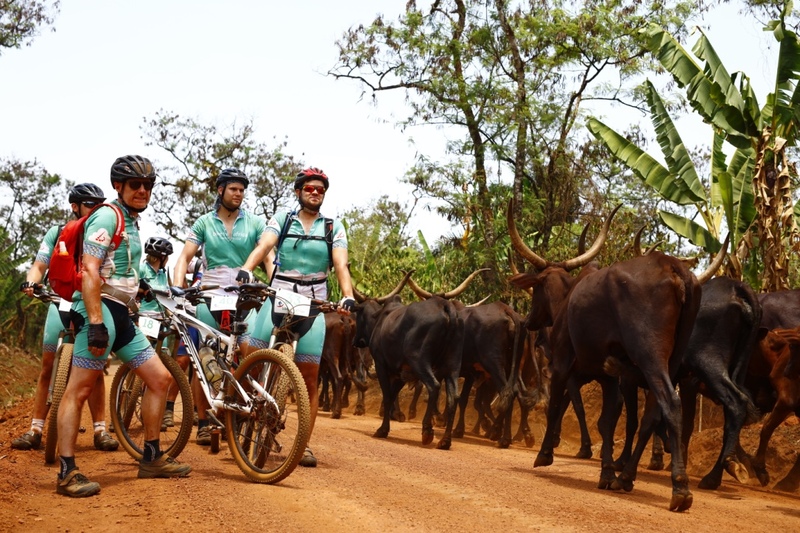 A bit further down the road they stopped again, but this time they had to… An enormous group of African cows blocked their way, but the herdsman led them past the cyclists very safely. It was an impressive moment however! Today we had without a doubt the coolest lunch spot, just next to Lake Noun. And it’s also next to that same lake that we now sleep for 2 nights in a row. 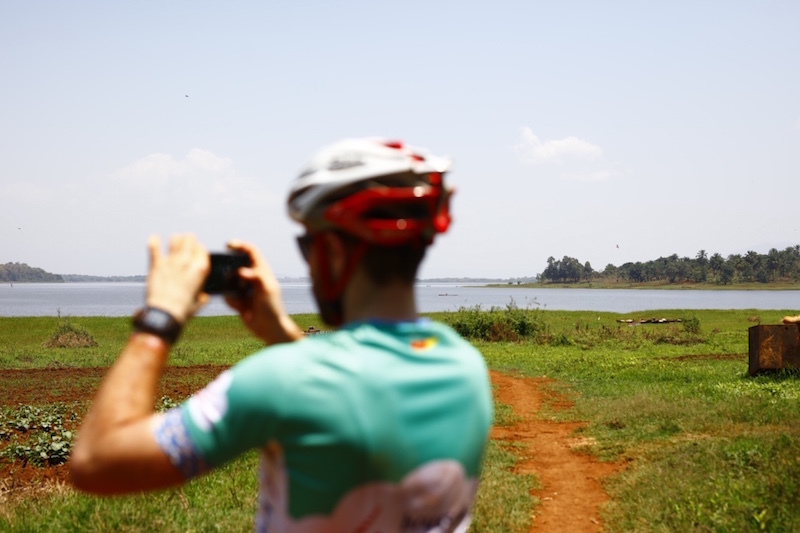 Tomorrow we already have the very last ride of Bike for Africa 2018 in front of us, but it promises to be a magical one. So stay tuned for tomorrow’s blog post!